Ms. Snelling (nee Horseman), is a Rhodes Scholar, a director and partner of Canterbury Law Limited and a member of the Bar of England and Wales (1994), the Law Society of England and Wales, and the Bermuda Bar (1995). She is a member of the Honourable Society of the Inner Temple and a member of the Chartered Institute of Arbitrators. 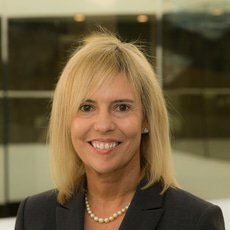 Ms Snelling’s principal work involves advising local and exempted companies, senior level business executives, trade unions and other institutions on a whole range of issues concerning Bermuda employment and labour law. She also practises in most areas of civil litigation, regularly appearing in the Supreme Court of Bermuda. She served for three years as Chair of Bermuda’s Land Valuation Appeal Tribunal and for several years and on the Professional Conduct Committee of the Bermuda Bar Association and the Treatment of Offenders’ Board. She was educated at Stanford University, L’Institut d’etudes Politiques, UCLA Law, Oxford University (St. John’s College First degree), and the Inns of Court School of Law. She is the published author of the Bermuda chapter of Carter-Ruck on Libel and Privacy (6th ed. 2010), Reed Elsevier (UK) Ltd.